Here you'll see our morning glory clay flower tutorial together with video to paint the clay after it's dry. 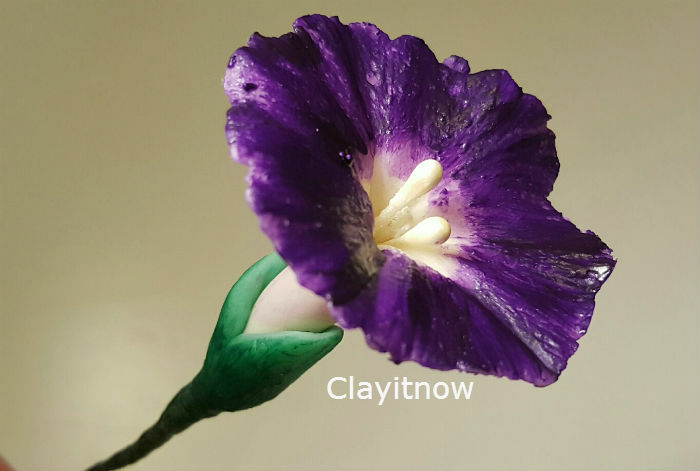 We can add color to our homemade clay before we make the flower but some of you have asked us if we could share the tutorial to paint the clay after we make the model. You need floral tape, wire for stem and stamen. 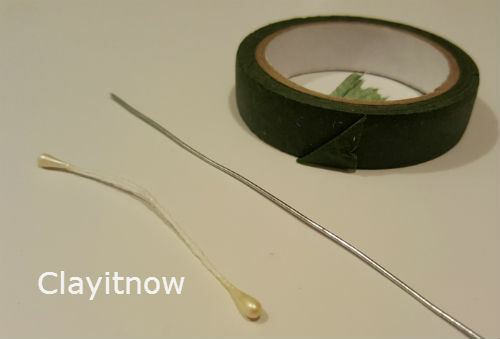 Bend the stamen to two part in unequal length, put it on top of the wire and wrap it with floral tape. 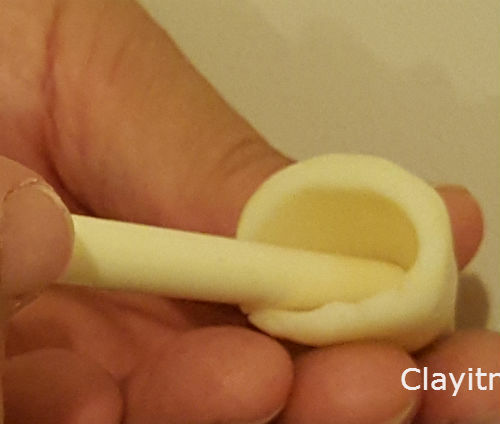 Take your homemade clay, knead well and roll it to the ball and then to teardrop clay basic shape. 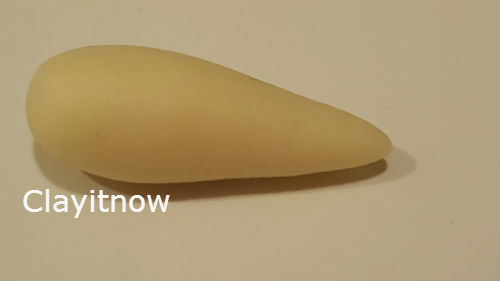 Use your clay tool to hollow the teardrop shape. Spread the top part of the teardrop outward and flatten it like the picture beside. The flower is ready now. 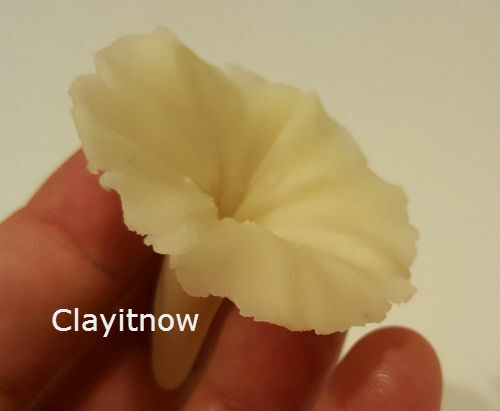 Use kitchen towel to make a ring as a support and put the wet morning glory clay in the middle of tissue ring until it's dry. 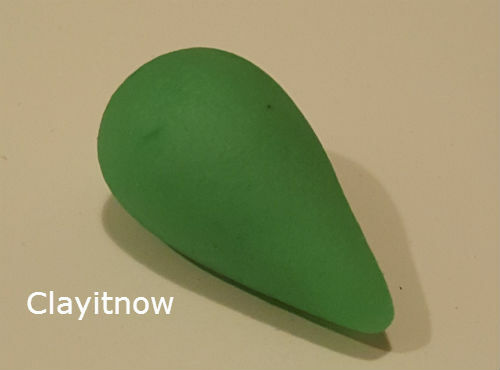 This time, color your homemade clay with green oil paints color and make small teardrop shape from it. Cut the green teardrop to two part and make teh shape like the picture beside. 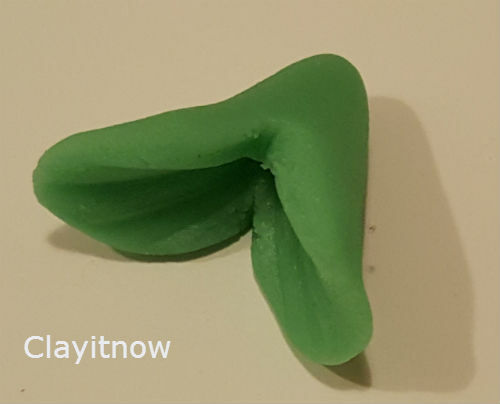 This green clay (calyx) will be attached at the bottom of the flower later on. 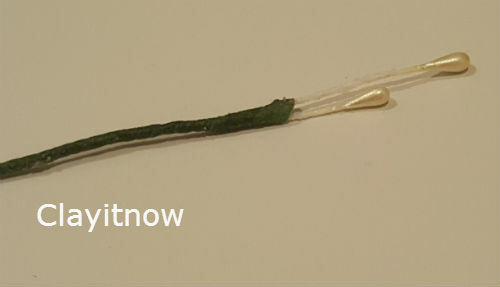 Next, insert the stamen that has been attached to the wire to the middle of the flower and add the calyx. Leave the flower until it's dry completely in room temperature. After that, we can use acrylic paints to color the petal. Some of you have also asked us when to use watercolor, acrylic and oil paints. We highly recommend you (= "a must") to use oil paints if you want to add the color to the wet homemade clay before modeling. And, you can use watercolor or acrylic color onto the dry clay. 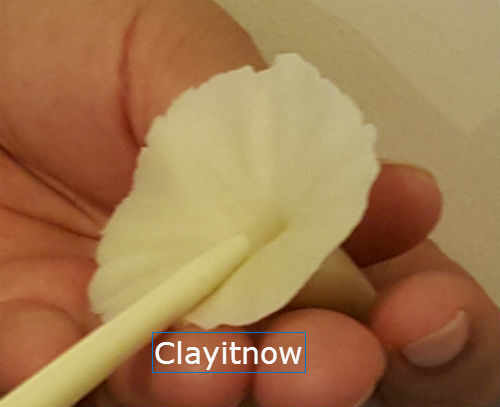 Please check our clay coloring technique page for more details. Note: please feel free to paint the petal with other colors such as blue, pink or yellow. Morning glory has a very short life span. So, the clay version has given us an everlasting bloom for all occasion. Since this flower has been associated with love, affection, it would be a nice gift for anyone. Please share your craft with us if you make the morning glory following our tutorial using our submission form at this page.